LIVE MUSIC in the "EDEN BAR"
I am always very happy that so many are coming! We dance to live music, soul, jazz, bar music! 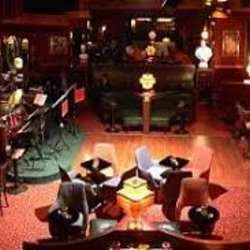 Who does not know them, the legendary Viennese Protected content , this nostalgic bar that has existed for over a hundred years. In Eden, every occasion for celebration has always been most welcome. Not only for "talking", but also for dance, cabaret and musical entertainment is the tradition of the Eden. Where Billy Wilder, Ella Fitzgerald, Orson Wells, Romy Schneider, Alain Delon, Jack Lemmon, ZsaZsa Gabor, Liz Taylor and many others met in the Eden. I am looking forward to an unforgettable evening!